Sign up to get your 2018 Re-Election bumper sticker! Our campaign will mail you a bumper sticker. Just click below and fill out the form. 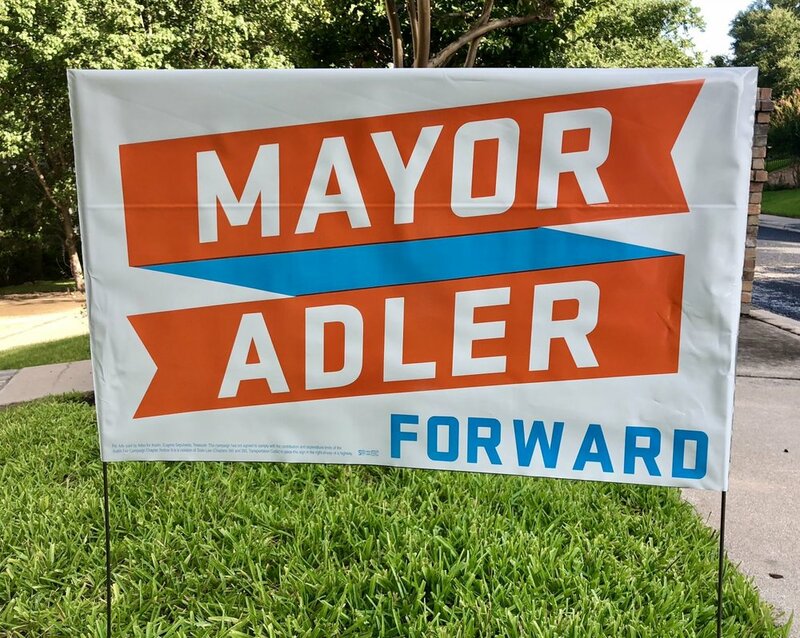 Thank you for showing your support for Mayor Adler's re-election campaign! Sign up to get your 2018 Re-Election yard sign! Our campaign will deliver your yard sign and place it in your yard. Just fill out the form below. If you'd like to make a donation for your yard sign, please click here. To order your re-election campaign T-Shirt, donate below and please indicate your shirt size. Please donate $25 or more to receive a T-Shirt in the mail. We'll throw in a free yard sign and bumper sticker.